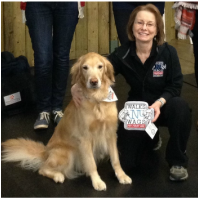 ​K9 Compass has facilitated the Walks ‘N’ Wags Pet First Aid course since 2012. Walks ‘N’ Wags began offering Pet First Aid courses in 2003. The course was originally developed by Nurse Ethne Dickinson of Oakland Educational Services Ltd. and her team of Veterinary professionals in 1993. ​In 2007, Ethne passed over the administration of the program to Lisa Wagner of Walks 'N' Wags. Since that time, the program has been updated and is reviewed regularly by a Veterinary panel for accuracy. 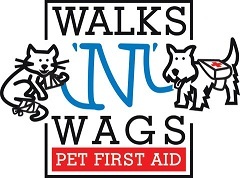 Walks 'N' Wags Pet First Aid is the most comprehensive pet first aid program available and applies to both dogs and cats. In 2016, after several years of planning, Walks ‘N’ Wags launched Off The Grid, a fun and interesting supplemental program for those who have completed the Pet First Aid program within the past 3 years.